Safeway Grocery Delivery offers its services at several locations across the United States. They offer affordable fees, various time frames, and products that stay fresh during delivery. Safeway provides free delivery offers, discounted delivery, and green delivery options for all of their customers. This service is available to residential and commercial shoppers who are searching for a way to make shopping at Safeway more affordable than ever before. Every Safeway Grocery delivery is made by the Safeway company without any third-party involvement. So they use their own drivers and offer their own transportation services. This has the purpose to aid customers in an easier more cost-effective way to shop. All deliveries designed to keep the customer’s grocery items fresh by using special packaging approved by the FDA. Therefore, their delivery services are not limited to just food related items. They are also encouraging customers to add other items to their delivery including DVDs, greeting cards, OTC medications, and more. Customers can find a Safeway delivery service by entering their zip code on Safeway’s delivery service page. Safeway offers their grocery delivery services seven days a week between 9 AM and 10 PM. They offering multiple delivery options for customers to choose from including, 1 hour, 2 hour, and 4 hour delivery windows. The longest delivery window’s considered their green option. So it gives customers the opportunity to save money on their delivery. Shoppers who want to save money by going green need to look for the delivery window with a Save $ icon. This icon’s made easy for shoppers to find because it’s the only option that’s highlighted in green. Customers who need same day delivery will need to place their order before 8:30 AM. By placing an order by 8:30 AM, customers will receive a delivery between 4 PM and 10 PM that day. If a customer wants a delivery earlier in the day, they must make their order by 3:00 AM. This guarantees a delivery will occur anywhere from 9 AM to 3 PM on the day they completed their order. Safeway grocery delivery fees vary depending on the amount of the customers order. Home delivery for purchases of $150 or more costs $9.95. Delivery rates for purchases below $150 are $12.95. Safeway will also deliver to businesses within their service area. Business deliveries over $150 will cost customers $14.95. All orders exceeding $150 cost around $17.95. The total purchase amount does not include taxes or fees. In addition to delivery charges, customers may have to pay a fuel surcharge on all or some of their deliveries. Customers will need to pay extra based off the delivery day gas prices. If the price of gas exceeds $2.75 per gallon, customers will pay .10 for every .10 increase in gas. Customers can find their gas charges at the bottom of a customers final receipt. Safeway Grocery Delivery may also charge customers for bottle deposits and bag fees where applicable and depend on the customers location. Moreover, it is not mandatory for customers to tip the Safeway delivery drivers. Though the drivers admire the generosity, the company doesn’t allow them to accept tips from customers. In order for shoppers to qualify for grocery delivery, their order must contain at least $49.00 worth of merchandise. This amount does not include delivery charges, taxes, fuel charges, bottle deposits, or bag fees. If an order qualifies for delivery, every new Safeway grocery delivery customer will get free shipping on their first order. Safeway grocery provides other ways for customers to get discounts or free delivery. But more details are available on their website. To make sure items get delivered, a resident aged 18 or older will need to accept it at the time of delivery. Therefore, if a delivery has alcohol or tobacco products in the order, a resident aged 21 or older must be available to collect the delivery . If there isn’t an adult available to accept the order, Safeway drivers cannot deliver the package. However, Safeway does offer an unattended delivery option that customers must request during the checkout process. This allows Safeway drivers to deliver packages without having someone available to accept them. Safeway offers grocery delivery services at several of their locations. This easy and convenient service delivers goods to both residential and business addresses on all orders of $49 or more. Customers have access to several delivery options and the opportunity to enjoy free or discounted shipping. 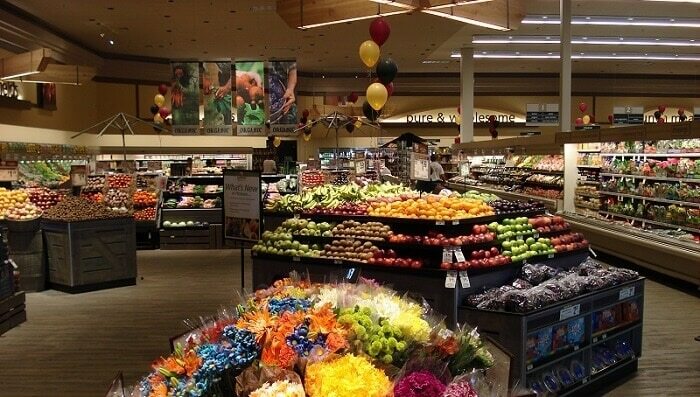 Safeway customers may schedule a delivery as often as they’d like without any restrictions. Who wouldn’t want their groceries delivered fresh, right to their front door? So if you’re looking for a quick and easy way to get groceries, check out the Safeway Facebook page to learn more about Safeway Grocery Delivery near you. Hey Buddy!, I found this information for you: "Safeway Grocery Delivery 101: Areas, Hours, Fees". Here is the website link: https://all2door.com/safeway-grocery-delivery/. Thank you.